THIS time it is the BBC that is asking 'Does a serial killer haunt the city's canals? 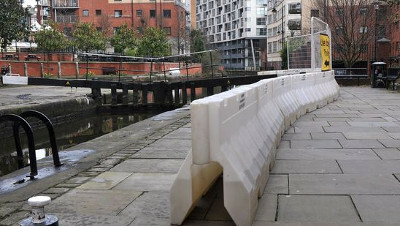 ', relating to the many deaths in Manchester's waterways. It stating that the rumours of a serial killer stalking the city's canals is spreading around the world, despite the many denials from those in law enforcement. Depending on which newspaper, the number of deaths have varied considerably. The Daily Star included an article in January of 2015 stating there had been 61 deaths in the canals over six years and that the canals were 'popular dumping sites' for bodies. But since then, depending on the newspaper, there had been any number from 76 to 86, but these are for Greater Manchester that includes surrounding towns, so are inaccurate. An accurate number can be gathered from the Manchester City Area coroner's office, its statistics showing there have in fact been 35 drownings over the past 10 years with 22 in the Rochdale/Bridgewater canals in the city centre since 2009, with 16 of them in the Rochdale in Manchester. Of the 35 recorded drownings, 10 have resulted in 'open' verdicts, showing that the authorities could not prove what caused them. Five more are still subject to ongoing investigations. A number of the deaths were by Canal Street that is widely known as an homosexual destination with its pubs and clubs, with post mortems showing alcohol played a large part in some. In an attempt to prevent alcohol fuelled men climbing the canalside wall, Canal & River Trust erected a fence on top, as pictured, but had little effect as it was circumnavigated with people subsequently drowning in the canal. As to whether they 'fell' or were 'pushed' is of course not known, but the possible existence of a 'pusher' is grist to the mill of the more outlandish newspapers. As there were still drownings, and it was realised that some were using lock gates to get over the canal, a barrier, pictured, was erected to attempt to divert possible drunks in the dark from using the lock gates for passage over the canal. It is not known as to whether this was successful, only that people are still using the lock gates.